Pictured, ARTBA Chairman David Zachry, president & CEO, Zachry Corporation, presided over the awards luncheon. 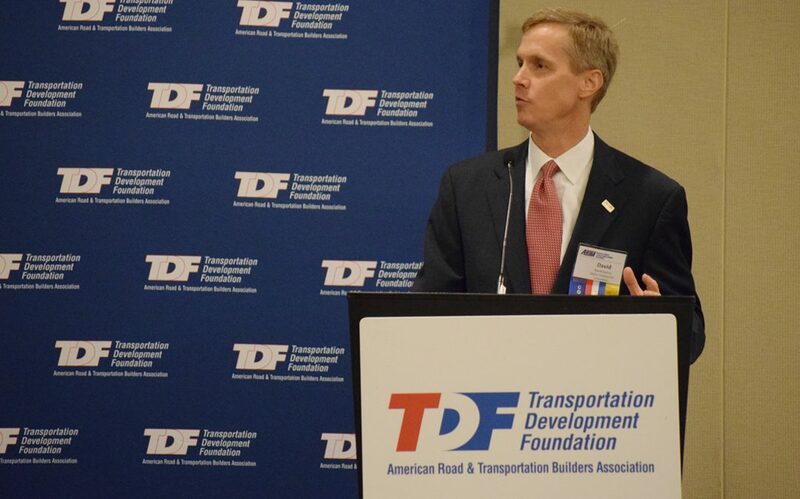 Executives from HDR Foundation, Ranger Construction Industries, KCI Technologies and Transurban were recognized May 10 by the ARTBA-Transportation Development Foundation with 2016’s “Helping Hand Awards.” The annual competition honors organizations within the transportation industry that have exceptional strategic philanthropic programs—outside the scope of normal business operations— that strengthen, build, improve the quality of life and make a positive difference in their communities. HDR distributed more than $400,000 in grants over 18 months to worthy, employee-sponsored programs. This included helping to develop the country’s first solar garden dedicated to serving low-income households and helping to bring cleaner drinking water to the Delaware Watershed – an effort that will impact 17 million people in the Northeast and mid-Atlantic U.S.
KCI employees volunteered their time and talents to support 55 community and non-profit organizations in states like North Carolina, Maryland and West Virginia. Ranger Construction employees participated in numerous activities in South Florida including a Susan G. Komen Race for the Cure for breast cancer and Construction Industry Career Days at local high schools. Virginia’s Transurban led extensive community programs including planting 1,000 trees along the I-95 Express Lanes project to help minimize some of the impact from tree clearing necessary to build the expanded highway capacity. The ARTBA-TDF congratulates all the winners of this year’s Helping Hand Awards and hopes that companies will continue to submit their noteworthy programs for next year’s awards.